The Chevrolet Volt is a plug-in hybrid electric vehicle manufactured by the Chevrolet division of General Motors of which deliveries began in mid December 2010. * The car is propelled primarily by an electric motor. * The internal combustion engine is primarily an on-board electricity generator set. * A sizable battery pack may provide electrical energy to propel the car between 25 to 50 miles (40 to 80 km). * The battery pack may be charged by the on-board generator. * The battery pack may be optionally charged by plugging the car into an external electricity mains socket. * The on-board generator may provide electricity directly to the driving motor. * The car is propelled entirely by an electric motor at speeds under 35 mph. * The internal combustion engine assists the electric motor by driving the wheels directly at speeds above 70 mph and depending on loading, occasionally assists down to 35mph. The suggested retail price for the 2011 Chevrolet Volt starts at US$40,280 excluding any charges, taxes or any incentives. Qualified buyers are eligible for a US$7,500 U.S. federal tax credit and additional incentives are available in some locations. The Volt is also available through a lease program with a monthly payment of US$350 for 36 months, with US$2,500 due at lease signing, and with an option to buy at the end of the lease. 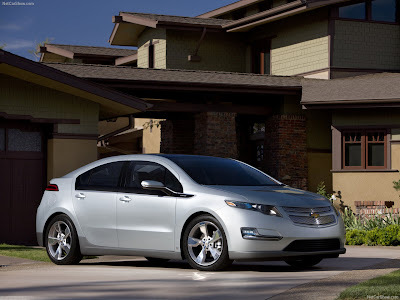 The Volt will be initially sold in seven regions: California, Washington DC, Michigan, New York, New Jersey, Connecticut, and Austin, Texas. Nationwide availability in the U.S. and Canada is scheduled to begin with the 2012 model year commencing in late summer 2011.